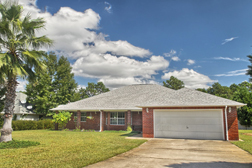 Panoramas in Paradise is located on the beautiful Gulf Coast where we are pleased to provide a wide range of services to meet all your Virtual Tour needs. We travel for custom work anywhere in the United States and are part of a large network of Virtural Tour providers world-wide. No matter where your job is, we can get it done! In the challenging real estate market, the proper presentation of listings has become increasingly more important. With over 90% of home shoppers turning to the internet before they pick up the phone, it is more important than ever to increase your reach online and deliver a lasting impression. Please allow us to introduce ourselves on behalf of Panoramas in Paradise, your property marketing experts for the Florida and Alabama Gulf Coast! Thank you for visiting Panoramas in Paradise! 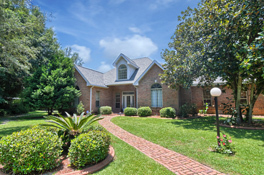 The Gulf Coast's premier real estate photography and virtual tour provider, source for interactive virtual tours and rich media content for the web. Please take a moment to bookmark our page and view some of our work on the site. Be sure to stop back often as our technology changes every month! You may also sign up for our randomly published newsletter (which will include topics to make your photography and tours better) by sending us an e-mail with your Name, e-mail address, Company Name, and Phone Number to: info@panoramasinparadise.com. No project is too big or small for us, so don't hesitate to call or mail us.